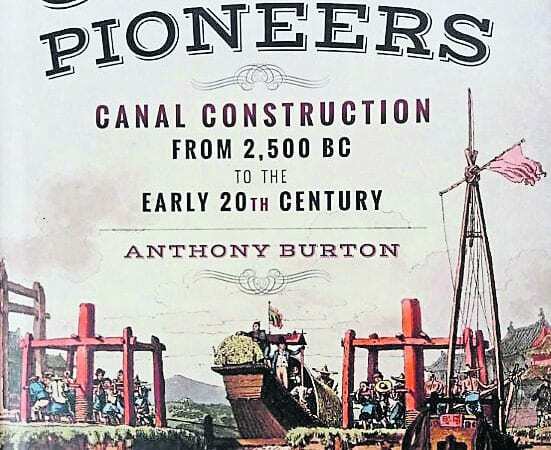 ANTHONY Burton is a well-known author and broadcaster and we reviewed the fifth edition of his first book, The Canal Builders, just over 12 months ago. This was written in 1972 and since then he has penned more than 70 books, specialising in the history of transport and technology. He has also worked extensively in writing and producing major documentaries for TV channels. 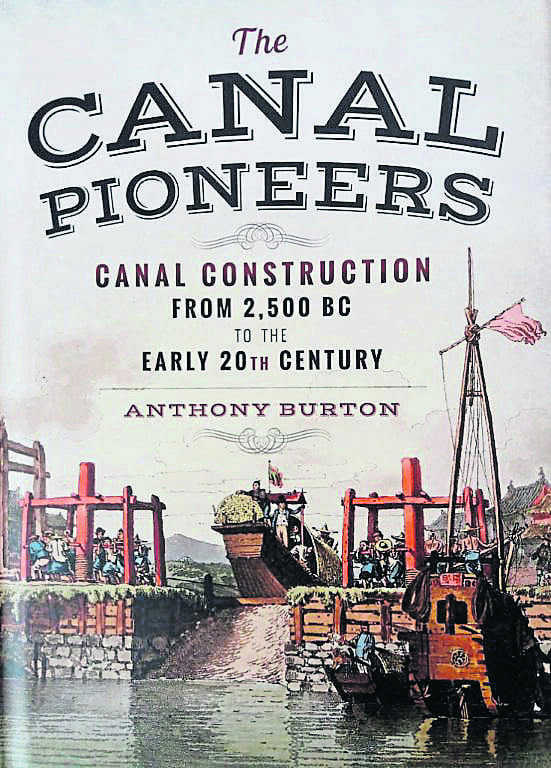 All his work is meticulously researched and The Canal Pioneers is no exception. In it, he covers the evolution of canals and their use for transport, going back to the earliest times, some 2500 years ago, up to the end of the 19th century. The beginnings of canal construction are maybe lost or a little obscure but the Egyptians began building canals during the 6th Dynasty. However, it was the Chinese who devised the most complex canal system in the ancient world, constructing the Grand Canal of China, parts of which date back to the 6th century BC. After the fall of the Roman Empire and the decline of great Mediterranean civilisations, little happened by way of further significant development of waterway transport. In medieval times the spate of watermills inhibited river navigations due to the building of weirs to ensure a steady supply of water to turn the wheels. The author gradually leads us towards the development of canals as we now know them but not on a step-by-step basis. The chapters deal with the way in which key developments took place, moving between the ‘then and now’ as appropriate. One chapter covers canal cities, outlining how many developed either as seaports or on navigable rivers. Venice and Amsterdam are two prime examples among many. The 17th century saw France begin to develop a new age of unprecedented engineering works and this occupies the bulk of a chapter which also, not surprisingly, features the network developed in the Netherlands. The Industrial Revolution and the Duke of Bridgewater bring us to the start of a transformation in Britain. The author’s detailed research reveals some little known facts here and in a chapter on Canal Mania. Cast iron and steam are deservedly given special attention and we are treated to a chapter on the first ship canals. Another chapter is devoted to the comprehensive systems developed in North America. The author deals with the matter of spanning the centuries without the detail becoming boring and it is a very engaging read. The text is superbly supported by a collection of photographs and illustrations which add considerable value to the stories told. It covers almost 200 pages and, at £25 in hardback, is good value and a rewarding investment.